In a vain attempt to control the knitting needles, I've been doing inventory. Since this collection goes back years and years, there are many brand names, lengths, etc. I made up an Excel chart of the most common sizes in USA, European and English sizes and lengths. Inventoried, checked them off and now can see where the empty spaces are. I need to make a trip to the LYS to fill in 16" size 0,1 and 2. 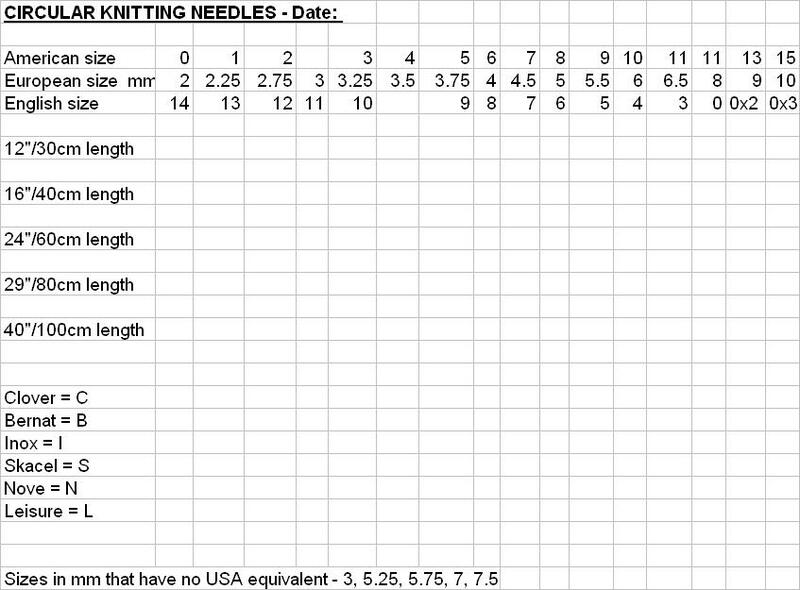 And how on earth did I end up with 6 circular 29" needles?? Hope this chart will download for your use.